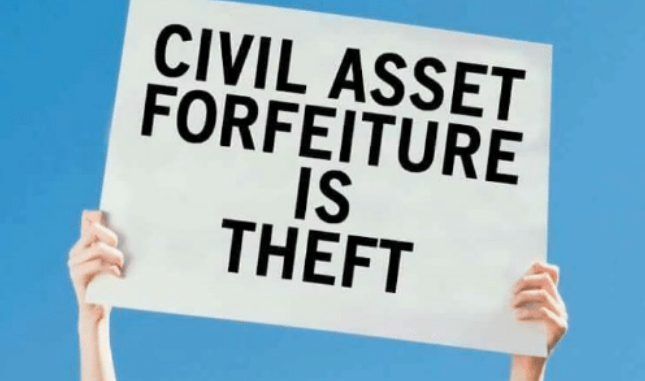 Civil Asset Forfeiture – legal process that enables a government to seize property and other assets belonging to persons suspected of committing a crime. In March of 2017, the North Dakota Legislature did the unthinkable and defeated Rep. Rick Becker’s (R – District 7) bill to reform the state’s Civil Asset Forfeiture laws. While the bill passed the House by a vote of 50-42, the Senate identified aspects they felt were problematic in the legislation, but offered no amendments and killed it by a vote of 0-46. 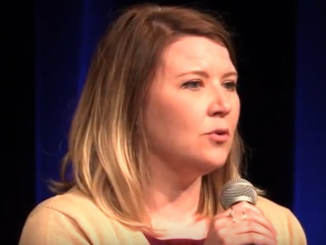 In voicing the Senate Judiciary Committee’s opposition, Senator Diane Larson (R – District 30) expressed the view that North Dakota doesn’t have a problem with forfeiture abuse anyhow. Even Attorney General Wayne Stenehjem made an appearance and expressed the same sentiment. In Larson’s words, “No problems exist, so why fix a problem that doesn’t exist?” As if that’s a reason to keep bad laws on the books. In their 2nd Edition of “Policing for Profit: The Abuse of Civil Asset Forfeiture“, the Institute for Justice graded state and federal forfeiture laws. 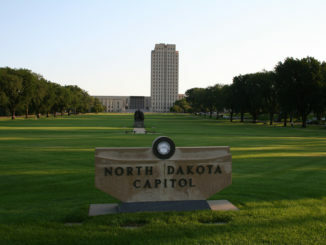 Of the 50 states and the District of Columbia, just two of them earned an F— and North Dakota was one of them. The other was Massachusetts. Even the Federal Government got a D-. Therein lies the problem— existing North Dakota law provides “few property rights protections”. One of the three criteria that the Institute for Justice uses in their report is “the government’s standard of proof to forfeit”. And here we find our state’s bar horribly low. What is that bar? Probable cause— the lowest bar to forfeit with no requirement of a conviction. That’s right. The state can seize your stuff — and keep it — without you ever being convicted of a crime. Rep. Becker’s bill would’ve resolved this. 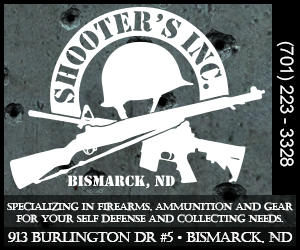 Both the United States Constitution (Fourth & Fifth Amendment) and the North Dakota State Constitution (Article I, Sections 8 & 9) include protections in relation to search and seizure and Due Process. But unfortunately, that hasn’t seemed to matter much to a majority of North Dakota lawmakers— most recently the aforementioned State Senate. In fact, I’d argue that the existence of law as it’s currently written is a problem. At times, when this issue arises in some political circles, one side accuses the other of being “anti-law enforcement”. It’s a ridiculous argument. Pathetic really. It’s right there with the old pushing Granny Off a Cliff video. Remember, such reform to Civil Asset Forfeiture law protects all of us— including law enforcement. That’s the blessing when we catch the vision of having “a government of laws, and not of men”, as John Adams once said. It’s NOT anti-law enforcement at all to demand Due Process and property rights protections. Besides, what’s the alternative? Leave the law as it is? Are lawmakers really okay with law enforcement having the ability to seize — and keep — the property of individuals never convicted of a crime? If so, that speaks volumes of what kind of representation we have in Bismarck. And I’d suggest it doesn’t speak well of them. In July of 2017, I wrote that, “The only thing more embarrassing than the North Dakota Senate voting this down last session will be if nothing is done about it going forward.” I stand by that. 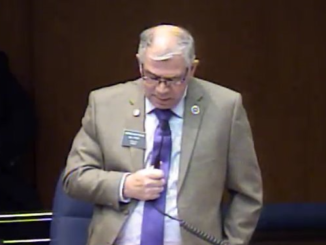 Fortunately, Rep. Becker isn’t one to give up so easily. Always willing to stand and advocate for limited constitutional government, Becker is once again proposing legislation, in the upcoming 2019 Legislative Session, to bring Civil Asset Forfeiture reform to North Dakota. This is the Legislature’s chance at redemption. If they fail this time, then expect the issue to be put to a vote of the people through the initiated measure process.